It’s strange, like I have to escape the city’s mood to do any music (even though I really love living here). Once inside (or should that be outside? ), she’s no longer conscious of what’s going on. This is the mystery of her modus operandi, something she cannot explain. Which simply adds to the ethereal quality of her music. It is testimony to her clarity of vision and confidence in her craft that she has sought to recreate the framework of her first LP. Having established the parameters, the magic can begin. (Anne Müller also played on Philharmonics and has been a member of the live band since 2009). Three tracks feature violin and viola by Mika Posen from Canadian band Timber Timbre. Pass Them By features guitar by Robert Kondorossi, who also played on Philharmonics, and Fuel to Fire introduces the Scottish harp (played by Gillian Fleetwood). The Curse will be the first single, released prior to the Aventine album itself. Think of it as a trailer for your favourite film of the year. Any year. The Curse and Run Cried the Crawling are the songs Agnes sees as best defining Aventine as a whole. To me, they are the two songs where i think i got closest to the initial idea i had when i started making the album. Both very different from what i've done before but, at the same time, very much related to it. 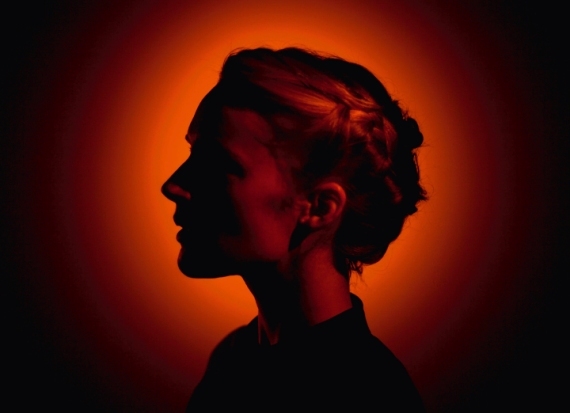 The second album, then, allows us to plot an upward curve in Agnes Obel’s trajectory. A timeless debut is joined by a second album rich in historical references. We see now that Agnes, or rather her music, would be at home in any era – crackling on a fifties jukebox in the diner, soothing the sixties souls at Woodstock, shining like silver spurs in seventies Nashville. Pick any decade. The eighties? She would have made the acoustic stage her own while new wave burned itself out. Trace a line from Bela Bartok to Sandy Denny, from Satie to Lurie (imagine her scoring early Jim Jarmusch movies). I was seeing and hearing more and more links in the music to all sorts of genres from different times, also outside of the genres that I normally would think of in relation to my music.
. It stays with us long after the needle has lifted from the record. To me, sounds have always been more interesting than words. I love it when the voice becomes an instrument and you almost forget it’s a human voice. At the same time I knew I wanted to get closer to something I could regard as my own “speaking” voice in the songs, getting close to something that felt like my own state of mind, story and / or voice. We could talk about unusual classical string techniques, col legno and flageolet, how the cello takes on a central role together with the voice and the piano (often an upright piano, recorded with felt), look for clues in the title (Aventine, the southernmost of Rome’s seven hills? ), but maybe there is no need to explain. Smoke and Mirrors restores serenity with a contemplative ripple across the lake.